PDF Reader provides you the option of compressing your PDF File to a smaller size. 1. 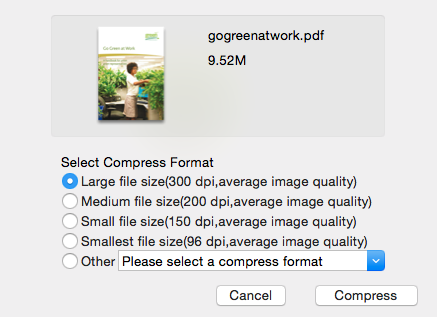 Select the file you’d like to compress. 2. Click the “Compress” icon on the upper bar. 3. You will be directed to a window where you can selecting the compression format.